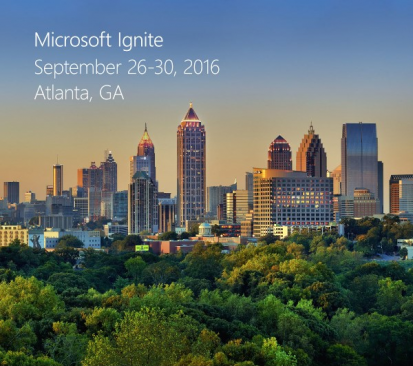 Microsoft Ignite is headed to Atlanta, Georgia, on September 26–30, 2016. Direct access to product experts. Knowledge and answers direct from the source. Smart people talking tech everywhere you look. Pre-register now for the lowest price and claim your spot in Atlanta, September 26–30, 2016.